St Martin’s-in the-Bull Ring stands on the site of the medieval village of Birmingham in an area occupied by retail and wholesale markets from at least the 11th century. A Grade II* Listed building, it is known as 'the Mother Church of Birmingham'. The church's own website is at - http://www.bullring.org/ and has some very useful history pages. See also A Church near You - http://www.achurchnearyou.com/birmingham-st-martin/. A History of Birmingham Places & Placenames . . . from A to Y - Birmingham - http://billdargue.jimdo.com/placenames-gazetteer-a-to-y/places-b/birmingham-the-city-centre/. 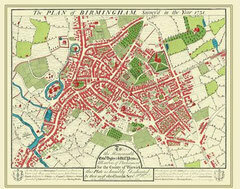 Above: William Westley’s map of Birmingham 1731. 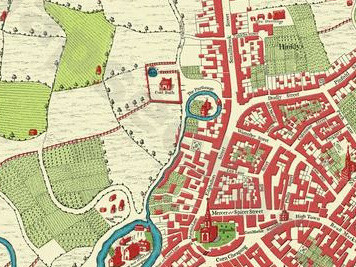 This is the first map of Birmingham and is oriented with West at the top. 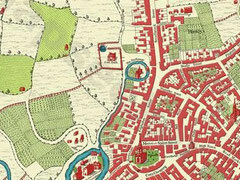 Image from the Mapseeker website - http://www.mapseeker.co.uk/ - reuse permitted for non-commercial purposes. The name of Birmingham is certainly Anglo-Saxon, though it is not known whether there was a church here at that time. When the new town of Birmingham was developed at the time of the Market Charter of 1166, it is quite possible that Peter de Birmingham also moved his manor house to the Moat Lane site and built St Martin's as a new church close by. Evidence was found in 1873 of the 12th-century building. Although the earliest recorded mention is 1263, it is fairly certain that a small church existed here at the time of the Market Charter; some ancient stonework survives rebuilt into the walls of the Guild Chapel. And A E Everitt made drawings of the remnants of medieval wall paintings which were discovered beneath the Georgian whitewash. The earlier building was replaced by a new church of local red sandstone at the end of 13th century by one of the de Birmingham family. 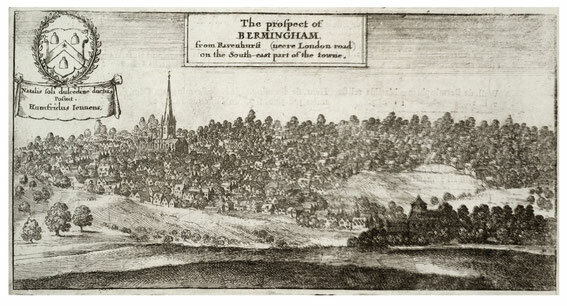 This is the church that can be seen in Wenceslaus Hollar's Prospect of Birmingham. This typical gothic church consisted of a chancel with a crypt beneath, a nave with a clerestory above, north and south aisles, and a north-west tower with spire. By 1690 the sandstone was badly worn and, but for the spire, was then encased in three layers of brick in a neo-classical style. There were tall round-headed windows to the aisles and clerestory, a balustrade above the aisles, and a small pedimented south porch. However, the medieval plan of the church was retained and the fabric, though hidden was still largely intact. In the early 18th century the north aisle was extended as far as the east end of the chancel and a vestry was built on the south side of the chancel c1760. The spire itself was rebuilt in 1781 in stone by John Chesshire. At about the same time the aisles were re-roofed by the extension of the nave roof to make a single low-pitched roof over the nave and both aisles to allow room for the galleries which extended in a horseshoe shape over the aisles and the west end. The tall windows of 1690 were then divided to make two tiers of round-headed windows on each side of the building. These alterations were viewed as inexcusable by the second half of the 19th century, having been carried out ‘at a time when architecture was at a low ebb.’ The round-headed windows with their cast-iron frames were likened in 1888 to factory windows. ‘The interior, if possible, surpassed it (the exterior) in unsightliness.’ The walls were plastered and whitewashed and three sides filled with galleries in 1781. There was a three-decker pulpit and the font was in the chancel. There were low, flat Georgian ceilings as at other Birmingham churches: Aston, Northfield and Kings Norton. And at St Martin’s, as at Kings Norton and Yardley, the medieval wall paintings had been whitewashed. In 1820 local architect and early gothicist, Thomas Rickman submitted a design to reface the church in stone and to replace the round-arched Georgian windows and doorways with pointed Gothic ones, but nothing came of it. Birmingham historian, J T Bunce had a vision of the church in its gothic form with all the correct parts ‘ranged in their proper order, devoted to their proper uses.’ He presumably hoped that by removing later alterations the original gothic would be revealed. 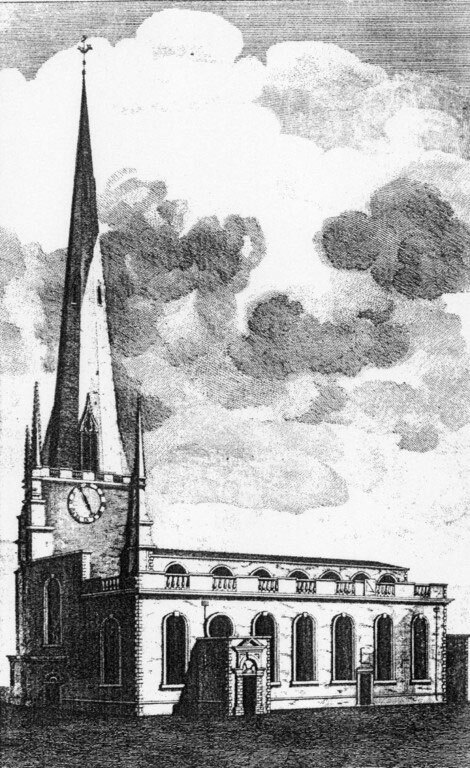 The church was thought a disgrace to a town of Birmingham’s status and must be restored to its supposed original with ecclesiological propriety and a restoration of its antiquities. Bunce condemned St Martin’s churchwardens who built for themselves in the chancel ‘a small sitting room, lofty, canopied, garnished with carving, shut in by festoons of drapery, and guarded with brass railings (which) arose in place of the font’. Rented pews were a display of status; the richer the appropriator, the larger and more comfortable the pew and the better its position. Bunce quoted an 1812 newspaper advertisement for a pew to let at St Martin’s, ‘the most distinguished pew in this church . 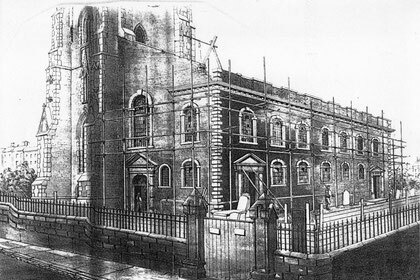 . . in front of the gallery directly opposite the pulpit.’ It was the more desirable because it had belonged to Samuel Galton. At St Martin’s pews were ‘labelled with their owners’ names and carefully locked’ to prevent access to ‘unattached Christians.’ Pews brought ‘an ‘intrusion of human pride, and selfishness, and indolence, into the worship of God’ and relegated the poor to parts of the church where there was no view of the pulpit. 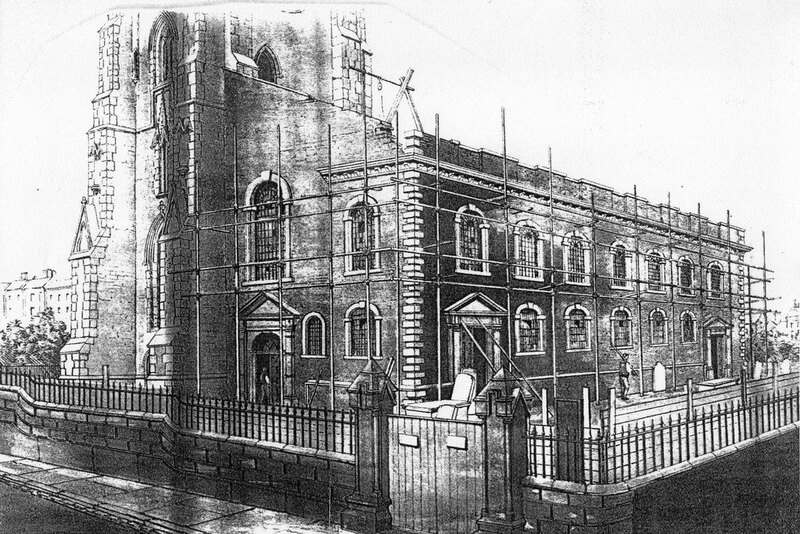 In the mid-19th century the rector, Dr John Miller launched an appeal to restore the church. However, funds were not forthcoming and only the tower and spire were restored, the final stone being placed in the presence of Prince Albert in 1855. 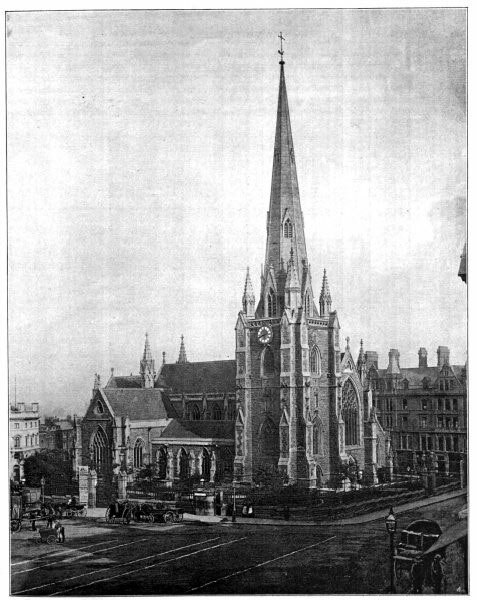 In 1872 the rector, Dr William Wilkinson began to raise funds for a complete rebuilding. 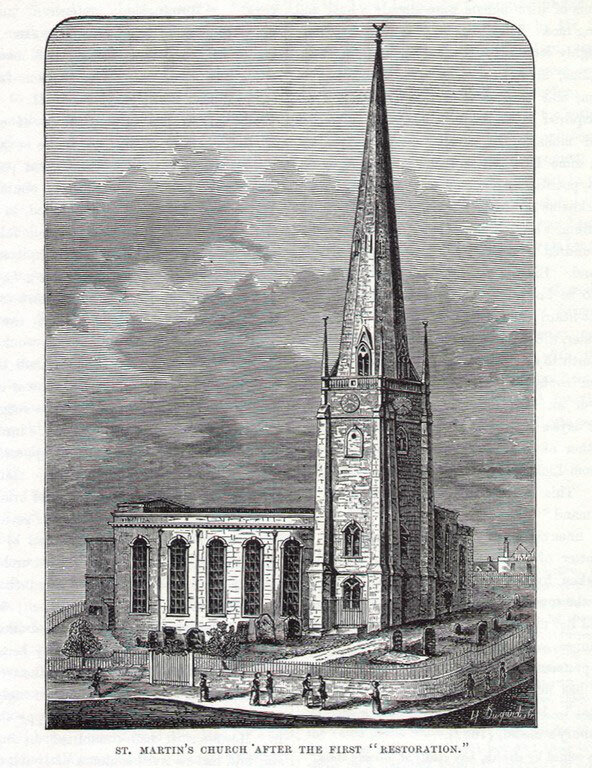 Although only half the money had been raised by 1873, the whole church, except for the tower and spire, was taken down to be the rebuilt by the Birmingham architect, J A Chatwin. Chatwin had trained under Charles Barry and worked with him rebuilding the Houses of Parliament. Chatwin had built new churches in Birmingham but this first restoration was a prestigious one. The avowed intention had been to restore the church to what was thought to have been its gothic original, a stone church in early 14th-century decorated style. Chatwin expressed the wish to preserve what he could of the medieval building. However, the structure was too badly decayed: the ends of the chancel beams were rotten and gallery pillars were built without foundations and close to crumbling vaults. Careful demolition ensured that as much as possible was learnt about the church before evidence was destroyed and the new choir stalls were made of wood salvaged from the medieval roof timbers. Except for the tower, the whole church was demolished and rebuilt in an accurate 14th-century style. There appears to have been only one disagreement between Chatwin and the restoration committee who wanted galleries in the transepts for extra accommodation. For Chatwin this would have been architecturally out of character and before completion his view prevailed. The hammer-beam roof may have been influenced by that of Westminster Hall on which Chatwin had worked under Barry and Pugin. The barrel-vaulted chancel roof rests on corbels carved as minstrels and there is a good floor of Minton tiles. Chatwin's sandstone reredos stretches across the full width of the east window. Made up of seven panels under elaborate gothic arches with 45 figures in alabaster, it shows scenes of Christ entering Jerusalem, Christ casting out the money-lenders, the Last Supper, the Garden of Gethsemane, the Betrayal by Judas Iscariot. Figures of the Apostles and of Moses and Aaron appear along the top and sides. The new church, which was reconsecrated on 20 July 1875 by Bishop Henry Philpott of Worcester, was held to be a fitting mother-church for the town. Concern was regularly expressed in The Ecclesiologist and SPAB Annual Reports (Society for the Preservation of Ancient Buildings) regarding the undue influence of architects over church design. Chatwin was described by G E Street, the nationally known architect who judged the competition to design St Martin’s, as the ‘facile princeps’ ie. easily the best. With such a commendation it must have been difficult for a church committee to argue with his designs. All records show St Martin’s to have been much admired, a fitting mother-church for the town. 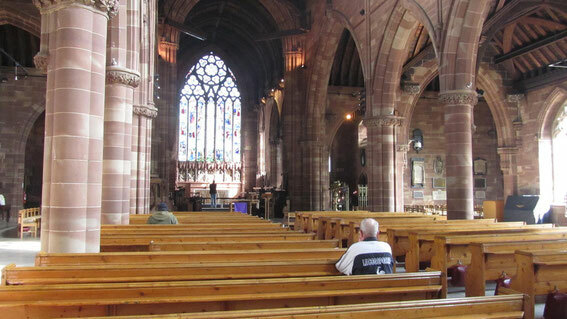 Satisfaction was expressed that ‘as much as possible has been done to connect the present church with its predecessor’, choir stalls made from old timber, old stonework built into the walls and tombs, monuments and tablets replaced. The Post expressed great local pride in ‘a Birmingham work’ designed locally and constructed by local people. 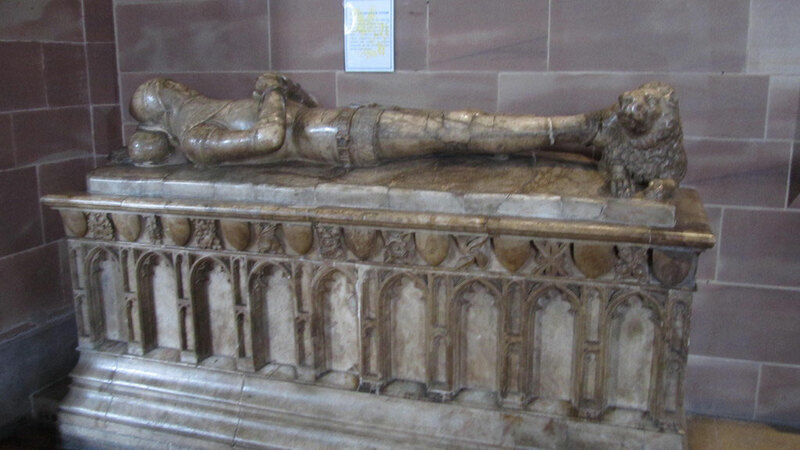 Badly worn effigies inside the church are early members of de Birmingham family: Sir John de Birmingham c1400, Sir William de Birmingham c1325, Sir Fulk de Birmingham c1370 all of whom must have been buried inside the building. There is also an effigy of an unknown priest c1500. The medieval-style stone statues on the north and west fronts were designed by Chatwin and sculpted by Robert Bridgeman's of Lichfield. They depict King Richard I in commemoration of his visit c1189 confirming the market charter, and St Martin of Tours giving his cloak to a beggar. Above the south porch a series of six roundels following the curve of the arch show scenes from the life of St Martin with a statue Saint Martin in bishop's garb at the apex. The external stonework was cleaned during the redevelopment of the Bull Ring 2002-2003. During the Second World War a German bomb damage caused serious damage at the west end of the building on 10 April 1941. All the Victorian stained glass was destroyed with the exception of Burne-Jones' south transept window which had been stored in a place of safety that same day by W E Barnes, the Bishop of Birmingham, despite the decision of the parochial church council that the window should not be removed as it could be replaced if damaged. The war damage was restored by 1957 and a new parish hall was also added designed by Chatwin's son, P B Chatwin, also in red sandstone but in a sort of Tudor style, a little incongruous with the unity of the rest of the building. There were four bells here in 1552, six in 1682 and eight in 1751. When St Philip's increased theirs to a 10-bell ring, St Martin's brought theirs up to 12. In the steeple are twelve musical bells, and a set of chimes, that play with great accuracy a different tune every day in the week, at the hour of three, six, nine and twelve; and they are so contrived, that they shift from one tune to another, by means of their own machinery. A number of the bells were recast and rehung over the years, all 12 being recast in 1928 by Mears & Stainbank of the Whitechapel foundry. The rivalry with St Philip's continued, and in 1991 this became the only church in the world with 16 bells capable of English change-ringing. This ring cast by the Whitechapel Bell Foundry has the heaviest full-circle tenor in the diocese weighing 39cwt 3qr 19st. 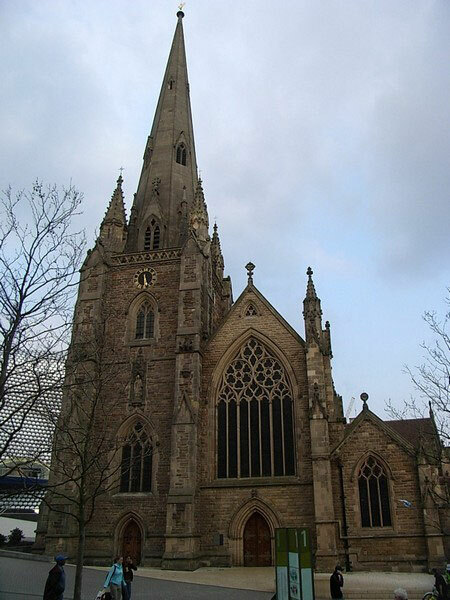 St Martin's is the mother-church of the Birmingham diocesan guild, St Martin's Guild of Church Bellringers for the Diocese of Birmingham which was established in 1755. From the eminence upon which the High-street stands, proceeds a steep, and regular descent into Moor-street, Digbeth, down Spiceal-street, Lee's-lane, and Worcester-street. This descent is broken only by the church-yard; which, through a long course of internment, for ages, is augmented into a considerable hill, chiefly composed of the refuse of life. We may, therefore, safely remark, in this place, the dead are raised up. Nor shall we be surprised at the rapid growth of the hill, when we consider this little point of land was alone that hungry grave which devoured the whole inhabitants, during the long ages of existence, till the year 1715, when St. Philip's was opened. The curious observer will easily discover, the fabric has lost that symmetry which should ever attend architecture, by the growth of the soil about it, causing a low appearance in the building, so that instead of the church burying the dead, the dead would, in time, have buried the church. The graveyard was closed in 1848 when Park Street Burial Ground opened, except for burials in family graves which continued until 1915. The churchyard was laid out in 1880 as a public park and has remained a public open space ever since. The crypt was excavated by Birmingham Museum 1974 and found to be two thirds full of disarticulated human bones. Church Bells of Warwickshire by Mike Chester - http://www.warksbells.co.uk/. Historic England website - https://historicengland.org.uk/listing/the-list/list-entry/1075690.